The glare from computer and gaming apparatus screens can be very damaging to the eyes if you decide to play games with your naked eyes. It is not just in gaming but technology right now is all about visual spectaculars and gadgetry. Of all the items we use at least once or twice a day, we are exposed to bright light from computers, television sets, tablets and smartphones. One very common theme of all this is that we use our eyes and this impacts in our health. When we are exposed to high amounts of high energy blue light, from screens and gadgets, it not only affects our eyes but also our backs, necks and circadian rhythms. Games usually have high definition graphics to which the eyes demand a lot of viewing. Exposure to that glare can lead to ailments such as computer vision syndrome and digital eye fatigue, these are ailments which afflict gamers who use their bare eyes for long periods of time. Computer vision syndrome or CVS is caused when you subject your eyes to monitors and other display screens by focusing directly and intently. This dehydrates your eyes and increases strain in your vision which is caused by limited blinking due to focus. Continuous exposure to this kind of light will bring major problems such as cataracts and age-related degeneration of the eyes. You can also get glare-induced headaches from too much light which come from screens. A solution to avoiding these ailments that are brought about by television or computer brightness is to wear gaming glasses/eyewear. This is a problem that most people work in front of computer screens during the day and when they retreat to their homes in the evening they go and play games with their eyes exposed never minding the fatigue that eyes go through and the short or long term effects of this kind of glare. Gaming glasses are designed to protect the eyes from the continuous glare of television and computer screen, they refract the glare that bounces off from screens. Characteristics of gaming glasses include an amber-colored tint which increases the contrast when you are looking at the screen. The amber coloring includes an anti-reflective material that offers extra protection for your eyes. The glasses are made up of several layers, there is a top coat, the anti-reflective layer, a lens, a hard coat and a primer. These layers ensure that the glasses are dust and water repellant, they also offer resistance to scratches, smudges and impact from the intense images. Sharper colors created by the contrast help to dim the glare of that comes from the screen. The glasses could make images and text appear larger so that they are easily visible and prevent you from straining. The lenses are made to fit closely to the face, the close fitting design of the glasses prevents dry air flowing into the eyes while you still have them on while you are gaming. It is important for the eyes to remain moist most of the time not only when an individual is gaming. Gaming glasses prevent headaches and dry eyes that come about as a result of long hours of gaming. Another characteristic of these glasses is that they are attractive and have a sense of style. We live in a fashion conscious world and as gamers would want to play the latest games, they would also want the latest eyewear. So you can play your favourite game while you are looking good. Wearing these glasses gives you an advantage over your opponent. When you are playing, you play to win and any advantage available is exploited so that you will win. As compared to an opponent who is not wearing glasses, a player who wears glasses is able to see the screen and images in greater and sharper detail and they will detect their opponent’s movements in advance and respond more quickly. Heading into the new generation, a lot of people will be focusing on their screens, people will depend on information from their screens and more and more people will not read papers, books and magazines. This is significant information because, there are computer games there are phone games and high definition games that people play using PS and Xbox. You will always want to win the next game and as you progress you will want to surpass every difficulty level. The temptation to do that will have you seated in front of your screen for very long hours and or professional gamers it takes even longer, why risk it all? Why risk one of your most precious senses? You cannot afford to have all that concentration of light coming into your eyes unprotected. Get a pair of gaming glasses to protect yourself. It is not worth it to have problems later on in your life because you bypassed a chance to buy glasses. One of the principal aims of gaming is not only to have fun but to escape reality. With a good sound system and glasses that protect your eyes and make images appear somewhat bigger and clearer, you are able to be immersed into another world with the full effects of sound and visuals. Games unlike any other source of media beamed onto screens are very high definition, they utilise a lot of graphics and are modelled to be as real as possible. Be they war games, wrestling games, football games or racing games, the graphics are purely HD or even with more resolution. Some games are very large you will need a graphics card so that the display does not hang, so that is where games are different from TV images. There is nothing more appealing than having a clear view while you are in a competitive situation. It gives you more edge. The materials that make this eyewear are friendly to any potential wearer. Materials such as rubber, stainless steel, silicon and plastic. They are often light weight so that it does not tire the wearer. Some of them are made by one material but most of them have a unique blend that is not only for functionality but to add a bit of aesthetics to the glasses. Apart from the blend of materials, they are very durable. The lenses, the frame, the temple wear, their compatibility with headphones make them long lasting. These are glasses that short-sighted people can benefit from because they make images sharper and they do not have to strain of moving closer to the screen to get a better view. They are affordable and you do not have to break the bank so that you buy them. The good thing with gaming glasses is their versatility. They can be used by graphic designers and video editors. People who are into these fields need to have the sharpest views so that as they are designing or editing videos they get the clearest view. Gunnar Optiks make eyewear that is suitable for computer and video gaming. Their glasses are recommended by doctors for their effectiveness in preventing eye ailments. They are not only Okayed by doctors, they have the thumb of approval by professional gamers. They have characteristics that make gamers enjoy their time and their games. Gunnar optics reduce visual fatigue which is brought about by straining. But before you use the variety of glasses that Gunnar offers, you will need to check with your doctor because people have different eye problems and some are more critical than others. You can get custom prescription lenses to suit your needs. Some people have been told to keep off UV rays for the good of their overall sight. It is good to take care of your sight because gaming is an activity that is competitive and addictive. Most Gunnar eyewear have a high-index lens that minimizes distortion and impurities. The lenses do not degrade and they do not lose their sharpness because they are durable. They get rid of haze to create the best and clearest images for display. In the collection of Gunnar optics, there are six types of glasses that we will look at as the best gaming glasses. These are what are highly recommended in the market by experts and opinion experts in eyewear. At the end of it all, it’s down to choice and whatever you go with will be beneficial anyway. Gunnar Optiks INT-00101 Intercept glasses with full rim. These glasses have a wide frame that is ideal for various shapes and sizes of heads, this means that it can be bought by a wide range of customers. The glasses have an even weight distribution guaranteeing comfort when one wears them for long periods of gaming time. The glasses are comfortable because they have no pressure points and fatigue. They have anti-glare coatings and an amber lens tint. For clarity, they have distortion-free optics. The lens is about 59 millimeters thick. The Gunnar Optiks PPK-00101 with PPK full rim is another type of gaming glasses that is made of high tensile steel. Its frame has a glossy onyx frame finish. It has an ultra-pure lens that provides clearer vision for serious gamers. It filters UV rays and blue light to build better contrast and protects your eyes. It has a 57-millimeter. The filtered spectrum of light coming into your eyes, replicates natural light preventing visual stress. If you are a graphic designer, a video editor and of course a gamer these set of Gunnar Optiks G0005-C00103 Sheadog full rim color will be beneficial to you. It improves visual performance and reduces strain for those with a 20/20 corrected vision. It prevents and reduces eye irritation. 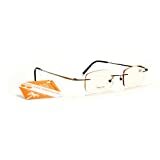 It has a durable frame, has a fastener free hinge design which guarantees comfort in the course of wearing them. The thermoplastic rubber temples allow for headset compatibility for a comfortable fit. The good thing about these set of glasses is that they are versatile and can be worn for a variety of tasks with maximum reliability. 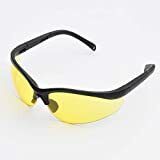 There are these pair of gaming glasses that kills the harmful glare of screens and have special designed lenses that have a proprietary and coating that block high energy glares and UV rays. The Gunnar MLG Phantom is light and comfortable with a level weight distribution. It reduces combat fatigue while also framing your face protecting your eyes from air currents which cause irritation and dryness in the eyes. It is ideal for computer and television screens with the yellow amber tint. For optical stability, it has an adjustable silicone nose pad design. It is made of a stainless steel frame and rim. The glasses have an ultra-slim temple that accordingly distributes headphone pressure and headset compatibility. They are high performance glasses that are recommended by doctors. It has a 60mm lens width, a 16mm bridge and a 120mm temple length. The Vayper full rim advanced video gaming glasses provides a panoramic viewing field that ensures you have a tasteful and fun gaming experience. The views you get from the glasses are delightful that you might lose track of your time while you are gaming. Its frame and design are conformed to fit heads of various shapes and sizes and provide comfort while you are playing. These are glasses that professional gamers should have in their equipment. You do not have to worry about focus and blinking in front of your monitor. Gunnar Optiks INT-06401 with cobalt frame finish has lens tints that block filter blue light and block UV to enhance contrast. The lens design limits air currents and increases humidity preventing irritation caused by dry eyes. The patented optical design sharpens detail and makes images clearer. There is a special hard cover layer in the exterior which increases its durability. The Gunnar Optiks RPG-00101 is made of aluminum-magnesium with an onyx frame finish. It has a quad-core hinge design and proper balance and weight distribution for comfort. It has a wide frame fit for larger heads so it can accommodate everyone. The Call of Duty Black Ops II gaming eyewear for Xbox 360 has a high contrast lens that subtly increases game details and improves shooting accuracy. The curved lens cuts down on peripheral light improving focus and concentration. The anti-glare coating reduces reflection and aids a gamer’s attention to detail. With its unique square lenses and lightweight construction, the Gunnar Optiks ST003-C001 guarantees long wearing comfort with no fatigue. It is of a semi-rimless design and minimizes peripheral distractions. Despite its semi-rimless make, it covers the eyes substantially and offers adequate protection. 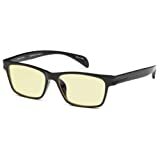 The Gunnar gaming glasses MLG Phantom with a snow/onyx frame what i-AMP technology and the frame fits for a wide range of head shapes and sizes. Provides a panoramic viewing with incredible style and comfort. Overall, all these glasses have some common characteristics such as a one year warranty. Which some people will put over others in their choice of glasses. They are made with the purpose to protect your eyes and make images appear better. It is therefore prudent to check out what suits you and go ahead and buy it. Again, it is for your own good that you get yourself a pair of these glasses. If you already have them, recommend them to a friend you usually play games with, it will make the activity more competitive and interesting.